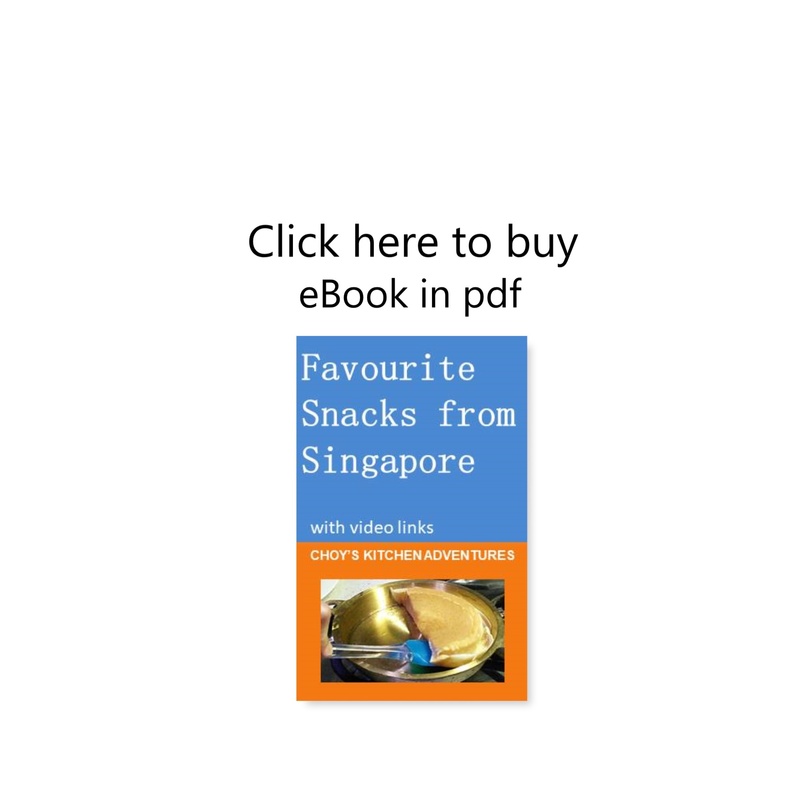 I had the opportunity to revisit some of the wonderful street food in a recent Singapore trip. I still recall how tasty the dry version of fish ball noodle was from my favourite fish ball noodle stall in Jalan Batu. The stall is no longer there but there are many stalls in Singapore selling the delicious fish ball noodle. Now that I am back in Brisbane, I tried to recreate this simple dish in my kitchen. I added fresh prawn in my fish ball prawn to give it added flavour. The combination of tender noodles in a delicious sauce, the bouncy fish ball and prawn and the very tasty soup makes this simple dish a regular in my repertoire of lunch time food. 1. Prepare the sauce. Place all the sauce ingredients in the serving bowls. Mix well. 2. Make the broth: dry fry ikan bilis and prawn shell till dry. Add 1 tsp of oil and continue frying till fragrant. Add 2 cups of water; bring to the boil and simmer for 15 mins. Strain to discard prawn shell & ikan bilis. 3. Add fish ball, prawn, preserved vegetable and sugar to the stock. Let it simmer for a while. Keep warm. 4. In a separate pot, boil the noodles till tender. Once tender, strain the noodles and place them in the serving bowl containing the sauce. Give the noodles a quick stir with chop sticks to incorporate the sauce. 5. Remove the fish ball and prawn from the broth and add to the bowl of noodles. 6. Blanch the choy sum in the stock and add to the bowl. Top with fresh chilli and fried shallots. 7. Serve noodles with the delicious soup in a small bowl on the side.